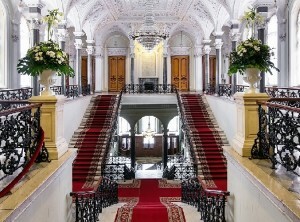 elegant gentleman together with the accompaniment of a string quartet “Classic” will move you back to XVIII-XIX centuries. 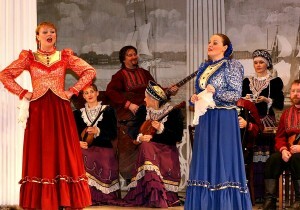 The folk show is represented by a few professional folk groups. You will hear Russian folk songs and church songs performed by “Peters Quartet” folk-band, will see the most impressive Cossack dances and listen to some emotional songs of the Cossacks from the Cossack “Maidan” folk group; and enjoy traditional dances of different peoples of Russian territory and humorous choreographic miniatures performed by the dancing folk group “Stars of St. Petersburg”. 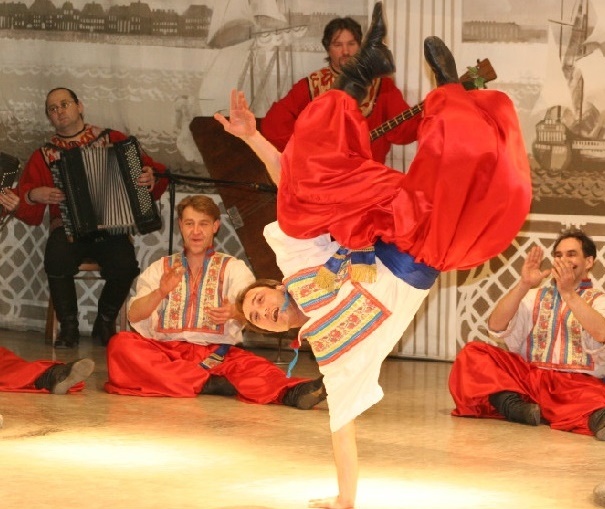 During two hours of this dynamic & emotional show, you will not only listen and watch the variety of Russian folklore, but also learn that some traditional Russian items, such as wooden spoons, saws and other traditional household articles, can also be used as musical instruments! 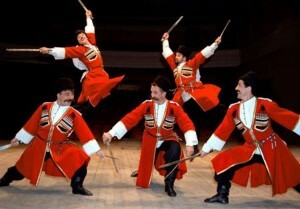 You might be also involved to play some Russian traditional games. 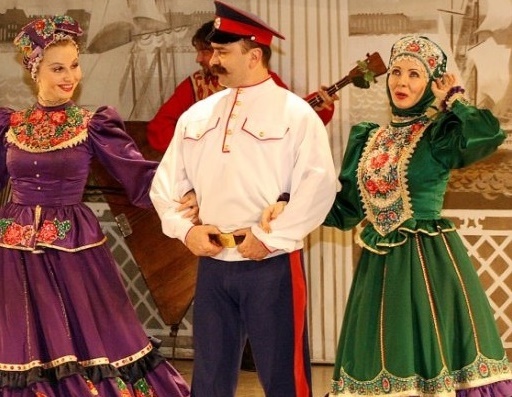 And, of course by the end of this interesting and funny event you will likely feel yourself a bit Russian! The show consists of two parts (each one takes about 45 minutes). 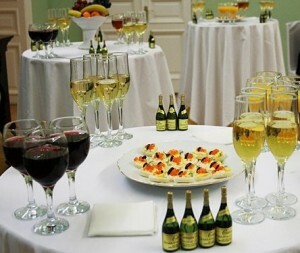 Between 2 acts you will have the break, duting which you will be offered a buffet table with different canapes, champagne, vine, vodka, juice, mineral water and fruit. 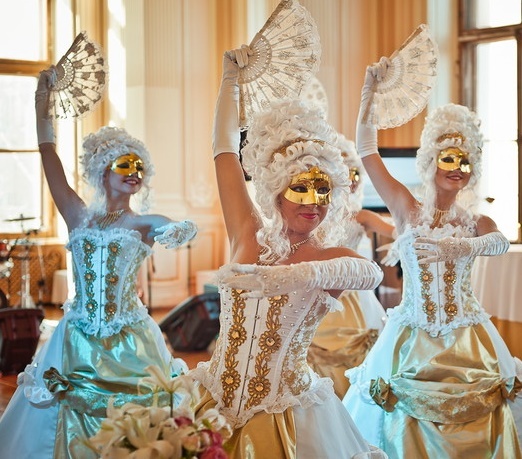 The break will be in a palace style with live classical music playing and beauties in crinolines dancing around! The total duration of the show (together with a drinking reception break) is 2 hours.